Despite the fact 70% of retail stores employ visible CCTV and 33% have plainclothes detectives; shoplifting still manages to empty store shelves. Every five minutes nearly 2,500 items worth $125,000 are taken from U.S. retailers. Annual shoplifting losses total in excess of $13,000,000,000. 1 in 11 people have shoplifted with a staggering cost on average of employees taking over $700.00 in merchandise compared to a customer taking just over $125.00. The chances of being caught are less than 50% but 1 in 2 shoplifters get turned over to law enforcement. Accountability and control of high value easily stolen items are answered with effective retail security cases. Most thieves steal out of desire not necessity. A study conducted at Columbia University in 2008 showed that shoplifting “was more common among those with higher education and income, suggesting that financial considerations are unlikely to be the main motivator.” Adults make up 75% of shoplifters whereas those under 18 years old make up the remaining 25%. Some of the most stolen items include designer hang bags, handheld electronics, high end kitchen appliances and kid’s electronics. There have been numerous advances in theft prevention such as smart tagging merchandise with a tag that emits radio-frequency identification or smart chips that can track what’s stolen from where. In addition some retailers use entry and exit sensors as well as source tagging to place a tracing element into products to detect theft from a store as well. Faced with more expensive and smaller consumer goods such as phones, GPS devices and now wearables how does a retailer best display merchandise allowing the consumer access to their products without creating Fort Knox? A well designed and engineered retail security cases are the answer. 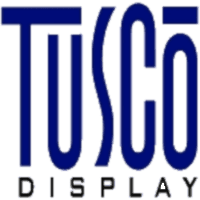 Tusco Display has created such a solution for a major retailer and has reduced the incidents of theft to one of their most expensive consumer electronics. Our security cabinets are welded 16 gauge steel construction. All external edges wrap steel tubing, making doors virtually pry-proof. Shatterproof doors and track system that can only be installed from the rear of the cabinet. Extruded tracks interlock when doors are closed. A Kenstan lock is surrounded by bolt cutter-proof welded steel tube. Our security cabinets are designed for standard 48” wide by 22” deep basedeck. – Other sizes available. Cabinet hooks into standard uprights and bolts to the basedeck. LED lighting and an adjustable shelf are optional.